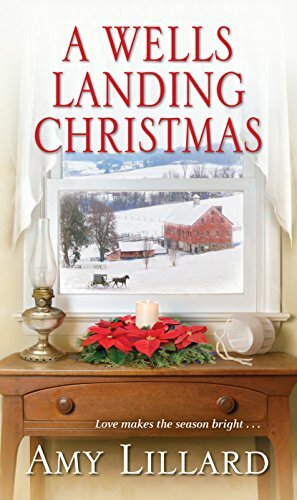 challenging—and precious—Christmas gift of all . .
A Wells Landing Christmas captured my attention right away and never let go. Dealing with issues of forgiveness, forgetfulness, faith, loneliness, and old love, it kept me reading page after page. Some memorable characters were in this book but I especially loved the ones who gave Ivy the love and guidance she needed. Characters like, Ethan from the nursing home and her Grandfather, who both give her little bits of wisdom without passing any judgement, that spark hope for her situation. They also gave her guidance in restoring her faith with God. The clip clop of the buggy though is something that only came sometimes in this book. The Amish in this community have adapted to other modes of transportation. I miss that little bit of their lifestyle that kept them separate from the English. I want to warn you that among all the life situations that happened in this book, there was some great sounding food. Ivy especially enjoyed spreading the joy of Christmas with wonderful sounding cookies. I was given a copy of this book by the author. I was not required to post a positive review.